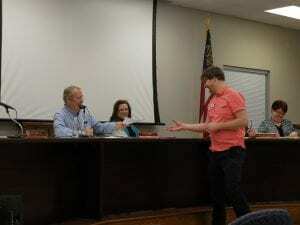 BLUE RIDGE, Ga. – During the Tuesday, April 24, Fannin County Board of Commissioners meeting, the board discussed what was described as “misinformation” circulating throughout the county and put a six-month moratorium on tiny homes in the county. Immediately following public commentary, Post 2 Commissioner Larry Joe Sosebee took a moment to address recent comments circulating in the community that suggest the county needs to create a five-year comprehensive plan. Sosebee clarified the county already has a 10-year joint comprehensive plan in place together with the municipalities of Blue Ridge, McCaysville and Morganton, which was created under the guidance of the Northwest Georgia Regional Commission (NWGRC). “Without this document (comprehensive plan) right here, we couldn’t get grants. We couldn’t have got the water grant we got. We couldn’t get LMIG (Local Maintenance and Improvement Grant) money to research the roads,” Sosebee added. Sosebee also stated the source of these comments estimated the population of Fannin County would reach 40,000 within the next few years. “Well, that’s a lot of people for a county that’s surrounded by forest service land and can’t contain that many people,” Sosebee said. 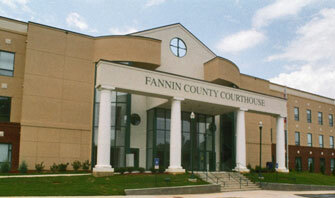 According to the NWGRC, as noted by Sosebee, Fannin’s population is expected to peak at 24,349 by 2030. Chairman Stan Helton explained the 10-year comprehensive is a 161-page document that is available to the public through the Georgia Department of Community Affairs at the www.dca.ga.gov. Later, county Emergency Management Agency (EMA) Director Robert Graham, Fire Chief Larry Thomas, EMA Deputy Director Darrell Payne, and Deputy Director of E911 Patrick Cooke came to the podium as County Attorney Lynn Doss opened three sealed bids for the purchase of three specialized desks for 911 dispatchers at the forthcoming public safety complex on Windy Ridge Road. As Doss opened the bids, two were revealed to be duplicates bids from Watson Consoles, of Matthews, North Carolina. The Watson bid was for a total of $49,739.23, which includes $37,116.23 for the product, $9,517 for installation, and $3,106 for freight. The other bid, from Xybix, of Littleton, Colorado, gave a total of $44,257.42, which includes $2,314.74 for sales tax, $4,100 for freight, and $4,775 for installation. Doss explained because the county is tax exempt, the total cost of the Xybix bid would more accurately be just under $42,000. After Johnson asked Graham if EMA would need to review the specifications of the bids and the director affirmed that the department would, the bids were tabled to the next meeting for approval. Following this, the conversation again turned to “misinformation,” this time concerning the Fannin County EMA and Fire Department (FCFD). 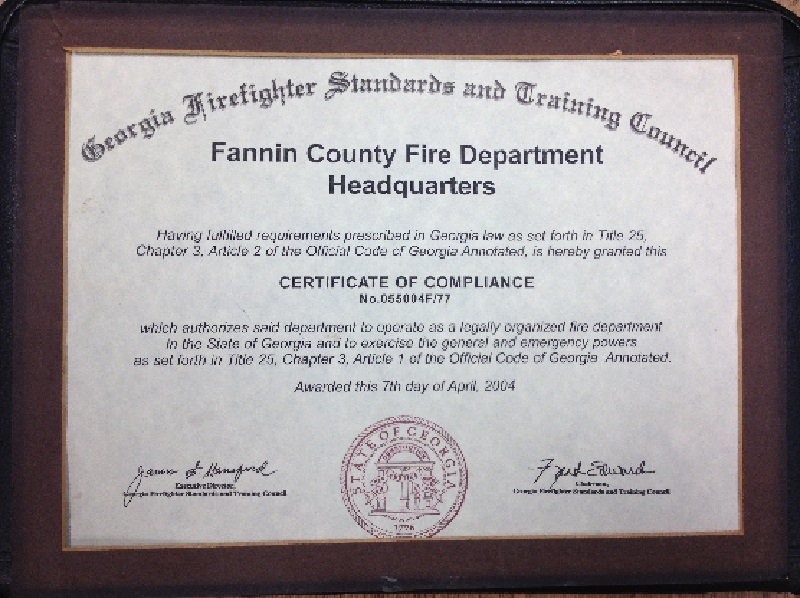 Certificate of Compliance from the Georgia Firefighter Standards and Training Counsel for Fannin County Fire Department. Graham also stated the EMA currently has seven total ambulances, four of which are on-duty ambulances and three are make-up ambulances. After Helton asked about the prospect of doubling the number of firefighters and the cost involved, both Director Graham and Chief Thomas estimated the added cost would be around $1.5 million annually for personnel along with further costs for facility upgrades. In other business, Chief Land Development Officer Marie Woody addressed the board on the prospect of enacting a tiny home ordinance. 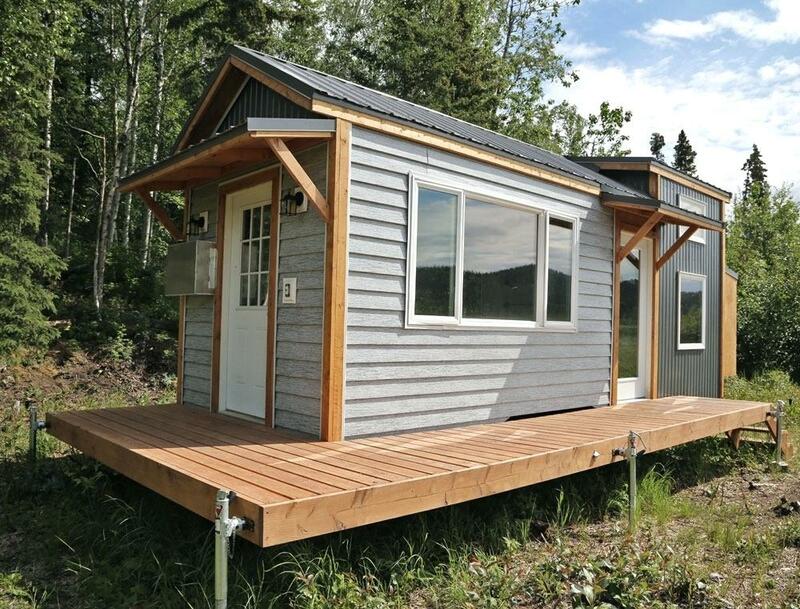 At the April 10 commissioners meeting, Woody and the board opened a discussion regarding tiny homes but tabled that discussion to the next meeting. A finished, prefabricated tiny home. 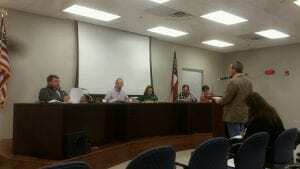 On Tuesday, Woody stated Fannin is one of only four counties (Fannin, Lumpkin, Towns and Union) north of Cherokee County, Georgia, that has not passed some form of zoning. She also added that in surveying 15 nearby counties, none of the counties have specific ordinances on tiny homes and eight are currently considering tiny home ordinances, but of those eight, most have not yet decided on the square footage requirements. Helton stated one subdivision development for tiny homes was already in the works in the county. When asked about the minimum size of lots currently allowed by the county, Woody stated for a fresh tract of land with its own water and sewer system, lots could be subdivided as small as a one-third (0.33) of an acre though land development recommends no less than a 0.55-acre lot. For separate lots with water wells and septic systems, Woody explained the county recommends between 1.33-acre and 1.5-acre lots. Johnson stated he was not so much concerned with the size of tiny homes as he was with the size of lots within potential developments and subdivisions for tiny homes. Helton proposed to the post commissioners the idea of placing a moratorium on building tiny home subdivisions and developments and asked the commissioners for input on an exact time frame for the moratorium. After discussion, it was decided and approved unanimously to enact the moratorium for six months beginning July 1, 2018. Robin Gazaway, county finance director, presented the monthly budget update for the county through March 31. Overall, according to Gazaway, the county is 25 percent through the fiscal year and 22 percent of its budget has been expended, leaving the county $829,415 under budget. Departments seeing significant under-budget amounts were Public Roads ($557,168 under budget), Sheriff’s Office ($89,520 under), and Recreations ($27,148 under). Gazaway stated two departments were currently over budget – Fire/EMS/EMA ($34,983 over budget) and Tax Assessors ($18,257 over). She explained Fire/EMS/EMA was over budget because of an ambulance purchase early in the year and the Tax Assessors department was over budget because of the purchase of two vehicles but added that both departments are expected to balance out before the end of the year. The Recreation department was reported to have a $80,768 revenue, which Gazaway stated was due to the collection of gate receipts and increased concessions. Also, Gazaway said both Local Option Sales Tax (LOST) and Special Purpose Local Option Sales Tax (SPLOST) collections were up for the year as of March 31. LOST collections, according to Gazaway, stood at $916,490.42 compared to $867,439.17 in the first quarter of 2017. SPLOST collections were $1,209,712.71 as opposed to $1,145,146.18 last year. After an executive session, the commissioners reconvened and approved three decisions. The board approved a filing in Superior Court to abate a public safety nuisance on Ada Street. Last month, the board unanimously approved a property on Ada Street to be dilapidated and for it to be condemned. Also, the board approved to forward with bringing an unauthorized junkyard on Mobile Road into compliance with county ordinances. Lastly, the board granted Rene Hamby’s transfer to the Public Works department and approved the hiring of Lauren Hein as the new human resources director for county government. 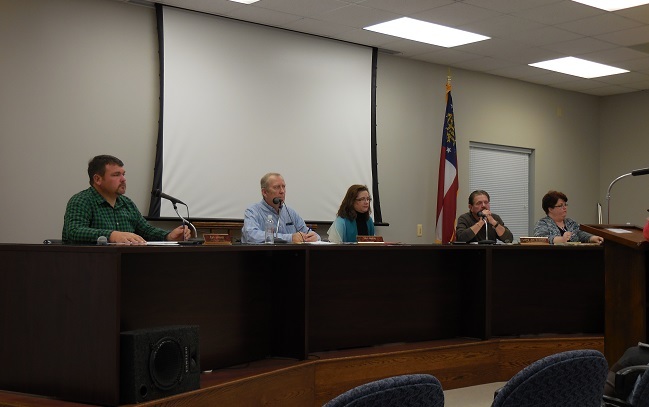 BLUE RIDGE, Ga. – The Fannin County Board of Commissioners (BOC) are moving forward in 2018 with the county budget still being a top priority. The BOC began their first meeting of the year by passing a resolution acknowledging that they upheld and will continue to uphold progress made in the passing of the 2018 Budget at their Dec. 12 meeting. This resolution stated that the commissioners complied with Georgia state laws when adopting this year’s budget and acknowledged that commissioners kept promises made throughout the year in regard to the budget, including an all day public workshop on the topic. BOC holds first meeting of 2018. Commissioners also voted unanimously to hire Rushton and Company to conduct the audit on the county’s 2017 fiscal year. Rushton and Company, accounting and business advisors, were responsible for the 2016 audit. Rushton and Company proposed a contract with the county to continue services for this year at the same rate as the previous year and to not exceed a total of $54,900. A report on the county’s finances will be made available by June 30, 2018. Johnson, a long-time proponent of a more transparent approach to the use of the Hotel/Motel Tax, discussed with the board setting up a public workshop to address this issue. In 2018, the county will receive an extra 10 percent proportion of this tax. Post 2 Commissioner Larry Joe Sosebee recommended allowing some of these funds to accumulate before addressing their use. Commission Chairman Stan Helton stated that the extra 10 percent, based on the previous year’s revenue, would come to approximately $150,000. Fannin County Finance Director Robin Gazaway stated that a separate account could be set up specifically for the 10 percent increase. The board agreed to separate this revenue and schedule a workshop to discuss where these funds will be allocated. Fannin County Library Branch Manager Andrew Vickers accepts paperwork confirming appointment of Steven Miracle to the Board of Trustees. Steven Miracle is the latest appointment to the Board of Trustees in Fannin County. Andrew Vickers, Fannin County Library Branch Manager, was present at the meeting as the board discussed the newest appointee. To which Vickers acknowledged that this would fill the final position on the Board of Trustees. “Mr. Miracle does a lot of good things for this county, and I certainly have no questions,” Helton stated before asking post commissioners their thoughts. All commissioners agreed that this would be a good addition for the board and voted unanimously in favor of Miracle. Former Building Maintenance Supervisor Ken Petty recently transferred to the Public Works department, leaving his position with Building Maintenance open. “I would like to recommend that we appoint Mr. Ed Hawkins as the new department head over at maintenance,” Helton suggested to the board. Johnson clarified that the appointment of Hawkins to this position would not change the number of employees in the maintenance department. Hawkins, formerly with the Fannin County Water Authority, was approved for this position. The board also approved the qualification fees for the 2018 general election. The Post 2 Commissioner seat along with two seats on the Board of Education will be on the ballot this year. The qualifying fees for these positions are $349 for Post 2 Commissioner and $144 each for a seat with the Board of Education. Qualifying begins March 5 at 9 a.m. and will close on March 9 at noon. The general election will take place on Nov. 11, 2018. BLUE RIDGE, Ga. – After a budget proposal that was met with opposition from some county departments and heavily scrutinized by the Fannin County Board of Commissioners (BOC), agreements were finally made and the Fannin County 2018 Budget was passed on Dec. 12. The BOC held an all-day public workshop to discuss the 2018 Budget on Sep. 20. At this workshop, most county department heads came before the board with their department’s request for next year’s budget. 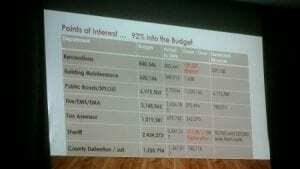 During the workshop, some departments made large cuts in spending. One such cut came from Public Works Director Zack Ratcliff. Magistrate Judge Brian Jones questioned the BOC as to why his salary line item had been cut at a Public Hearing for the 2018 Budget. Ratcliff proposed approximately $300,000 in cuts to his department. These cuts came mainly from fuel purchases, tire allowances and payroll. This $300,000 decrease comes on top of an 11 percent decrease in the department’s budget last year. Information from this workshop allowed Fannin County Finance Director Robin Gazaway along with the Board of Commissioners to review department line items and create a proposed budget for 2018. This proposed budget was met with opposition from certain departments. The Board of Assessors (BOA) questioned the cuts proposed by the BOC. Having requested $977,370.00, the BOC ultimately only approved $848,265 for the BOA department. 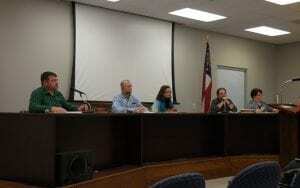 Magistrate Judge Brian Jones also questioned the board at a public hearing held on Nov. 28. Jones had requested $114,240 in salaries for his department and was surprised to see that the proposed budget was only allocating him $104,958 in this area. Jones stated that he did not care about his personal salary, which is mandated by the state of Georgia, but that he was concerned with the salaries of his staff. “I hired them at a beginner’s rate, or what I call a starter’s salary, and I think I should be allowed the opportunity to advance them as they learn and move forward in their jobs,” Jones explained. Graph presented by Finance Director Robin Gazaway depicting county budget and millage rate. At the Fannin County BOC meeting held Dec. 12, this issue was revisited before finalizing the 2018 Budget. Before the discussion of the budget took place, Finance Director Gazaway presented a graph depicting the county’s budget from 2014 to present, along with the county’s millage rate for this same time period. The proposed 2018 Budget contains a 1.8 percent increase from the previous year (2017) budget. Before passing the final 2018 budget, Post 2 Commissioner Larry Joe Sosebee expressed his thoughts on Magistrate Judge Brian Jones’ request to review the salary line item of his department. Post 1 Commissioner Earl Johnson discussing his views on voting for total budget. Gazaway clarified that the amount Jones was requesting is an 11 percent increase in salaries. Helton asked for a motion to approve the line item for Magistrate Court salaries as the requested amount versus the commissioners’ recommended amount. After a moment Johnson motioned to approve the 2018 budget, Sosebee seconded the motion and the budget was passed unanimously. Next Article » Arts Association chosen to create ornaments for Tree Lighting in Washington D.C.
BLUE RIDGE, Ga. – At the Tuesday, Jan. 23, Fannin County Board of Commissioners meeting, county Board of Assessors member Troy Junnier presented the assessors’ case for two replacement vehicles for that department. Junnier told the commissioners of the recent problems with two vehicles within the tax assessors’ fleet: a 2004 Ford Explorer with 190,252 miles and a 2003 Chevrolet 1500 four-wheel drive truck with 193,384 miles. According to Junnier, the county mechanic recommended that the Explorer be taken out of service due to a safety issue, as much of the sub-frame of this vehicle is badly rusted. “There hasn’t been a price told (to) us as to how to fix (the Explorer) … It’s a 2004 Explorer. It’s got 190-something thousand miles on it , so it’s probably done,” Junnier stated. As for the Chevrolet truck, Junnier explained that all six of the tax assessors fleet vehicles had recently been inspected by the county mechanic, considering issues related to the vehicle’s engine, chassis, transmission, brakes, steering and driveline, and the Chevrolet truck received a rating of 36 out of a 99-point scale. 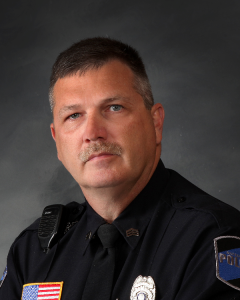 In addition to the low rating, Junnier stated to the commissioners that the truck suffered transmission issues immediately following its inspection, which has left the vehicle out of commission. Junnier went on to say that both the Explorer and Chevrolet truck were “hand-me-down” vehicles, given to the tax assessors department from other county departments. Junnier continued to explain that the tax assessors department had requested additional funds in its budget for the last two years to purchase one extra vehicle to add to the fleet, but the approved budgets from the Board of Commissioners has not allowed that proposed vehicle purchase for the department. 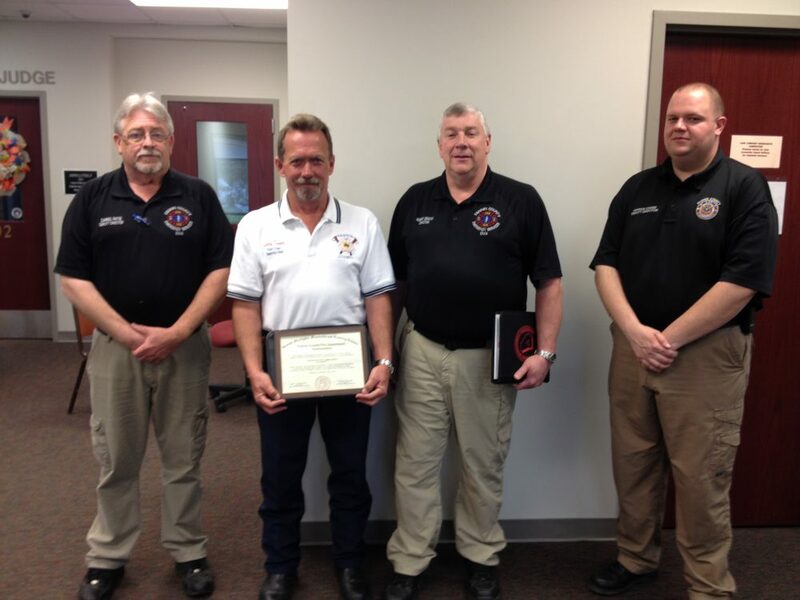 He continued to explain other county departments, such as the Sheriff’s Office and Emergency Medical Services (EMS), occasionally utilize the tax assessors’ vehicles during periods of inclement weather because all of the vehicles within the department’s fleet are four-wheel drive. Junnier also alluded to the recently lifted consent order from the Georgia Department of Revenue on the county’s tax assessor department and the accompanying $130,000 fine. Junnier lobbied for the purchase of new vehicles, rather than slightly used, because of the accompanying warranties. He told commissioners the tax assessors department had investigated the potential purchase of two new Jeep Wranglers because of the maneuverability of such vehicles and said quotes the department had received were $30,000 each for a base model, which Junnier admitted he thought was a high quote. Later, Board of Commissioners Chairman Stan Helton clarified that the tax assessors’ 2018 budget of approximately $848,000 is actually $54,000 more than the approximate amount of what was spent ($794,000) in the tax assessors department in 2017. Helton also questioned the reasoning behind the number of expenditures within the department that came later in 2017. “What I don’t understand is we have purchases for chairs, we have purchases for laser measurers – which you may need – and computers. From about mid-to-late-November to December, there was something like $10,000 spent on things … if you needed them, why did you wait till the end of the year?” Helton asked. Helton clarified that the tax assessors department was currently borrowing one of the two vehicles designated for use by the Fannin County Land Development department and stated he did not foresee an issue with transferring that vehicle from land development to the tax assessors department provided that the vehicle was in good working condition. Near the end of the discussion, Post 1 Commissioner Earl Johnson stated he did not want to give the tax assessors reason to fail and pointed out that the current Board of Assessors has a budget of nearly $300,000 more than the previous Board of Assessors from just a few years ago. Then, Junnier clarified that the Board of Assessors is not asking for another employee but rather for dependable equipment to perform field appraisals. Following this, Helton stated the 2017 budget for Gilmer County’s tax assessors department, which Helton pointed out is under a state consent order, stood at $812,000 and Junnier responded by describing that county’s department as “clowns.” Helton also explained Pickens County’s tax assessors’ budget was $578,000 and Union’s was $318,000. The chairman further noted that the 2017 Fannin tax assessors budget was nearly $1,020,000. After Junnier told Helton the only budget cut he had mentioned was the proposed funds for an additional vehicle, the discussion again returned to resolving the Board of Assessors vehicle situation. As a board, Helton, Johnson and Post 2 Commissioner Larry Joe Sosebee agreed they were collectively not if favor of purchasing a new vehicle for the assessors. For a tentative plan, the board agreed to transfer the aforementioned land development vehicle to the tax assessors pending a thorough inspection by Ratcliff and the public works department. As for a second vehicle, Helton then explained to Junnier that if the tax assessors could present more specific and adequate information regarding the potential purchase of a dependable, used vehicle, the Board of Commissioners could make a decision at its next meeting on Feb. 13. “Let’s get this vehicle situation straightened out because I, for one, am sick of hearing about it,” Johnson added. BLUE RIDGE, Ga. – In a called meeting of the Fannin County Board of Assessors (BOA) Tuesday, Feb. 27, to forward an appeal to Superior Court, Chairman Lane Bishop shared with the board that he would not be reappointed at the Board of Commissioners (BOC) meeting, which followed later that evening. At the commissioners meeting, local business owner Angelina Powell was appointed unanimously by the commissioners to replace Bishop on the BOA following a motion from Fannin County BOC Chairman Stan Helton and a second from Post 2 Commissioner Larry Joe Sosebee. According to Bishop, his term expires Feb. 28. Bishop, who served on the assessors board for over three years, took time to issue a statement to BOA members Janie Bearden and Mark Henson as well as county Chief Appraiser Dawn Cochran and BOA secretary Heather Wright. BOA members Troy Junnier and Anthony Holloway were not present for the called meeting. In the public eye at least, relations have seemed somewhat strained between the Board of Assessors and Board of Commissioners for the past six months. 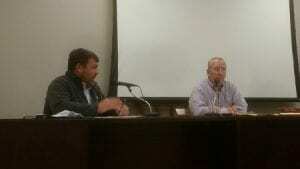 At an all-day workshop Sept. 20, 2017, at which the commissioners met with representatives from all county departments to discuss their respective 2018 budgets, Bishop and Bearden questioned the recent appointments of Henson and Junnier and were met with a firm rebuttal from Chairman Helton. Those appointments expanded the BOA from three members to five. In early December, just as the commissioners were finalizing all revisions to the county’s proposed 2018 budget, the BOA publicly questioned the commissioners’ recommended, and ultimately approved, 2018 budget of $848,265 for the Board of Assessors. The assessors requested budget was $977,370. Following the budget talks, the BOA experienced mechanical troubles with two vehicles in its six-vehicle fleet in January rendering them both inoperable, and Junnier spoke on behalf of the BOA at the Jan. 29 Board of Commissioners meeting to lobby for the purchase of two replacement vehicles. During that session, Chairman Helton questioned some end-of-the-year purchases made by the tax assessors department, and Post 1 Commissioner Earl Johnson told Junnier that if the commissioners approved the purchases, he did not want to hear about the problems of the tax assessors’ vehicle fleet again while he was in office. Ultimately, the commissioners did approve the purchase of two 2016 Ford Escapes in the amount of $20,000 each at their Feb. 13 meeting. Bishop referred back to the period before he joined the BOA when it was alleged that several Fannin County residents received favors from within the tax assessors department by not having their tax bills recorded and added to the tax digest. Bishop along with former BOA members Nathan Henson and Sonia Smith replaced the former BOA in May 2014 after that tax assessors board was removed entirely by the Board of Commissioners upon the recommendation of Appalachian Judicial Circuit Superior Court Judge Brenda Weaver due to departmental deficiencies. According to Bishop, one of the new BOA’s first moves then was to terminate two tax assessor employees in an effort to correct the deficiencies within the department. Helton pointed out the consent order from the state Department of Revenue was lifted in August of last year. “There’s no reason for that department to keep getting bigger or even be the size it is now. It’s too big,” Helton added. “We’re not talking about slashing the thing in half immediately,” Helton stated. That “drastic” option Helton proposed, though he clarified he did not favor, would be to contract an independent company to do field appraisals and property evaluations. “We do have that option, (but) I don’t want to do that,” Helton added, saying he has always favored hiring locally. Instead, Bearden was reappointed to the BOA by the Board of Commissioners, as Sosebee’s personal appointment, at the Feb. 13 BOC meeting. Sosebee also stated the appointment of Powell at the BOC meeting Tuesday evening instead of the reappointment of Bishop came as a shock to him and denied influencing Helton in any way ahead of the decision.